The world has kind of kept tabs on Ray J ever since Moesha and through the Norwood Kids Foundation which did incredible things for youth in years past. He’s been through all the things young men go through but in a public forum and NOW we get to talk about the MAN Ray J and the great things he’s accomplished since he’s gotten in touch with himself. Married with a child on the way, Ray J has applied his energy to making a way for his future generations as well as being a corporate citizen who’s about more than the money. Towards the end of 2017, Ray J expanded his business empire which began with the well-received Skoot-E-Bike to adding an extensive line of tech and lifestyle products which. 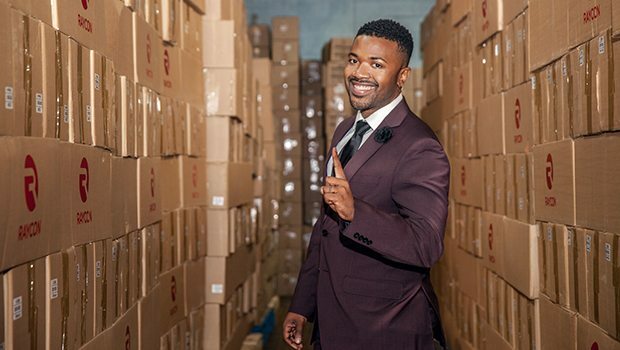 As proof of his business acumen and ability to see around the corner as regards entrepreneurship opportunities, Ray J and his team successfully closed a $31 Million dollar round of funding to launch Raycon Global with his new cohort of Ray Lee of Cowboy Wholesale. 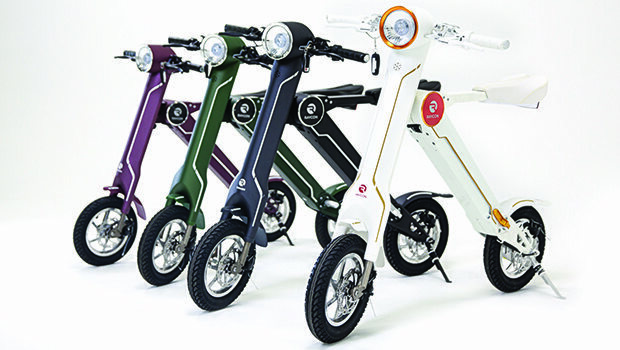 Ray J has an affinity for technology and recently took the tech world by storm with the Skoot-E-Bike (loved by Diddy, Jay Z, Steph Curry, Brandy, and SO many more). 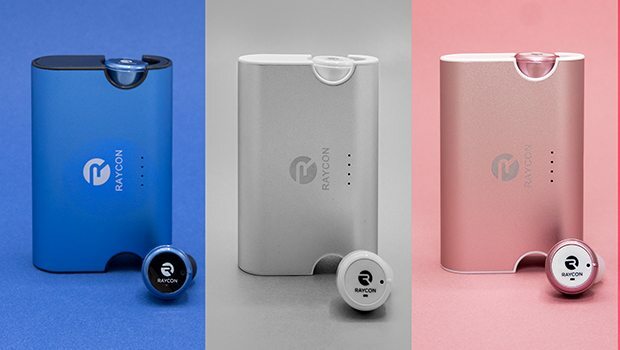 Upon successfully closing $31 million in funding, Raycon is launching as a new consumer tech brand with more than 25 products coming up. Ray J wants youth to know that EVEN pop stars have tech idols (he studies Elon Musk), and he wants more kids to aspire to be tech entrepreneurs. Ray J: So you see the Raycon brand, right? It’s not just Ray J, it’s Ray Lee, too. That’s why it all makes sense. This Ray experience is serious. It’s like having a Ray Bible. When you take it to church we have a Ray Bible, you dig? When we talkin’ on the phone, it’s Ray T&T. You know what I’m sayin’? That’s how we takin’ it. Was that a hint at a new phone down the line? Ray J: We working, we working, we working, man. It’s all fun, too, man. We’re having a great time. Ray describes this colossal transformation of stepping into the world of big business. Ray J: It’s a blessing to have gotten to this point. It wasn’t easy getting here, and now that we’re here, and I have the right support from Cowboy Wholesale, now it’s time to make our mark and expand the brand and go global. With the funds, with the belief, and with a strong team, I think we can do some historical things in the technology world and then bringing it into the music and bringing it to TV and tying them all in together is the plan. So in celebrating your roots, your aim is to put high-demand products in the hands of young people who just don’t have a whole bunch of extra cash laying around, but they need the same kind of quality. Ray J: Exactly. And that’s where we come into play. I’m happy you said that ’cause that’s what we are specializing in. And we are also specializing in the customization part of it, too, with the celebrity or the tastemaker, or somebody that connects with the day-to-day people buying the product. So it’s really important for us to not only put out a great product but also, when the fans and when the customers are buying it, they feel like they’re connected, they feel like they’re getting their worth out of what they’re buying. Dealing with varying price points, Raycon Global can reach consumers of different economic walks without them sacrificing quality? Are you hitting the high end priced items as well? We have that same high-quality product with that same kind of price, but we also have different things you can choose from that might not be that expensive. So we bring it down to where it makes sense and it gets people excited about technology and about being able to be a part of something. Because, when you think tech, a lot of people think “expensive,” they think “too much” sometimes. But with this Raycon Global movement, it’s more about the fun. It’s more about taking the people and giving them the experience through the technology. The tagline for Raycon Global is Inspire the Future, with that three-word manifesto, there seems to be a focus on the kids with Raycon Global trying to show them they don’t have to be the person in front of the microphone, the person in front of the camera. They could be the creator, the entrepreneur. They don’t have to just be a celebrity, right. Is that one of your big missions? Ray J: Oh yeah. Not only you don’t have to be the celebrity, but … I love sports; I’m a big sports fan. But you don’t have to be a basketball player. If you’re too short to play sports, you could play tech. You can get in these new markets that’s the future and find your way. Ray J, Raycon, we want to show people that it doesn’t matter who you are, what you dress like, how your slang or swag is. If you got a great idea and you got intentions to change the world, and you got intentions to move things positively, then the sky is not even the limit. You just gotta keep pushing and grab that team that connects with you as you connect with your brain. Ray J: Yeah, I’ve been through so much. I mean everybody’s seen me, they’ve seen me, they’ve seen me grow. They’ve seen me make mistakes. At a time in my career, I was just on some rock star, wildin’ out. And you do that when you’re young. You get it all out the way. Then you realize that it’s time to move into the next phase of life. I got married. I got a kid on the way. And then from there, it all started to change and I started to focus on the right things and, also, put a lot more substance behind just what I believe in every day. 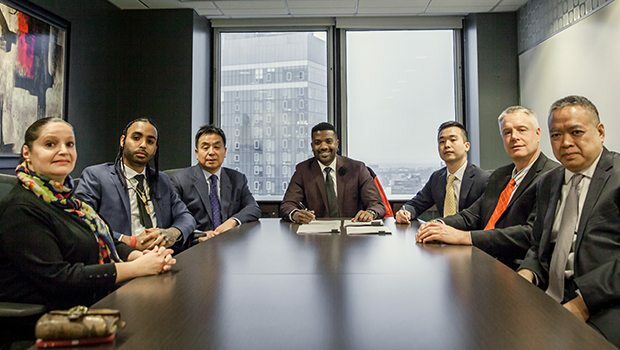 Ray J: Ray Lee is not only my business partner and is pretty much the CEO of the company and running point, what he did was he gave me an opportunity for me to be myself. Outside of everything else, now I can just focus on what I’m good at, and that’s marketing, and that’s going out and getting the job done from the marketing side. Startin’ out with Raytronics three years ago, I funded the whole thing myself. That’s how much I believed in the Scoot-E-Bikes. That’s how much I knew that the world was changing and that, since nobody’s ever seen this type of bike, it was my calling to bring it to America and to start being a part of the Green Initiative. But, to spend all of my money and to continue to grow the company started to get challenging because you’re talkin’ a $1200 product at retail. It’s still a very expensive product that I’m buying for wholesale, or I’m buying through my manufacturers. After a while, money was coming in, but the money goes back out because, if I want to keep building the company, then I gotta keep investing and investing. And so I needed a partner that not only saw my vision but give me a chance to go global, give me a chance to have the right team to fulfill everything that a customer needs when they log on and come to our site or come to our store. After 50 meetings with different investors and different hedge funds and other creative tastemakers and celebrities, Cowboy Wholesale, they got it. They understood what I needed. They saw my work by having a similar bike to the Scoot-E-Bike in the store. Fans came in and said, “That’s the Scoot-E-Bike. That’s the Scoot-E-Bike. That’s Ray J. That’s Ray J.” What was most important to me was that they recognized my work that I’ve already put together. And they did, and they understand how powerful I can be as far as branding a product, or branding music, or branding television. I took the same kind of strategy that I use when I’m selling my independent albums. I’ve been independent, running my own company from the music side since “One Wish.” I took that same kind of business model, added a little twist to it, just took all the money I had and invested in my dream, and it turned out to be something cool. The journey’s still going, still got a long way to go, but we’re breaking the ice and breaking barriers and showing people that it can happen and we can get it done. Ray Lee: It was an amazing opportunity for us. For us, we have a global distribution, company across a few countries. We’re in the U.S., Latin America, Middle East, Asia. We’ve had quite a few opportunities to work with other celebrities and tastemakers. But when we met Ray J, he was here in New York City, and he had a music video shooting nearby, so he swung by the office and we linked up there. But I think when we met Ray J, it was a lot different than the previous names we had with other celebrities. Obviously, Ray J, he’s very keen and has good awareness and sense of marketing. That’s immediately what I picked up on. But I think something else that I noticed was that he had intimate knowledge of the technology industry, especially consumer electronics. A lot of times when we had meetings with other high-profile figures, they were just in it to just maybe create a brand and make money and not be involved. But when we met Ray J, he knew some things about the products. He immediately knew where all of our manufacturers were, what kind of model this was, and how much customization is possible. I have a pretty good background in supply teams so when we were conversing, I was like, “Wow, Ray J’s the real deal.” He’s not just somebody who is looking to make a quick buck with the technology. This guy is immersed in technology; he knows what he’s talking about. After that first meeting, we just knew, “Okay this is a natural fit for us. Let’s go, finally go to our private investors, our banking relationships, and let’s make this happen.” And that’s exactly what we did. And I think Ray J, he was the key to it. We were pretty selective with the partners that we choose. But I believe that Ray J, with his knowledge of marketing and technology, it’s gonna make it all come together. And also, he has a lot of commitment too. While he’s in New York, he always comes in straight early in the morning at like 6 a.m.
Ray J: [I’m in the office] From 7:30 a.m. to 8 p.m. And I’m inspired because Mr. Lee comes in at 6 a.m. to 8 p.m., every single day, Sunday through Sunday. I’m inspired by the work ethic. Even before we did the deal, I was at Cowboy Wholesale every day, just lettin ’em know all the things that we can do together. And I think it was just a natural, organic way we partnered together and then from there, we’ve been really, really, really on a good run together. Ray J: Exactly or ask questions. You gotta ask questions. Don’t be afraid to ask questions and stick around. Your instinct is telling you, “Maybe I should stick around five more minutes.” Because literally, I went to Cowboy Wholesale ’cause I had a video shoot next door, just to get a phone charger ’cause they had tons of products. And I saw some similar bikes to what I had, and I kinda said, “Yo, this store. I’ve never been in New York where they had a vision like me with a lot of electric transportation and other products.” I kinda felt at home until I kinda stayed every day and kinda made it home. Ray Lee: And just to go on further … I think our vision is aligned and I think that’s the most important thing. Jerry, you mentioned, “How are we gonna get these products to the consumers?” We didn’t want to do something that has been done before. And in electronics, I think a lot of people take advantage of new technologies and put them at crazy price points, and they make a lot of profit. We felt like we wanted to enable consumers around the world to the latest technology and put them at affordable price points. And that’s why we when we launched, we carefully chose, Ray J and myself, we carefully thought about the categories. We chose electric transportation, wireless audio, smartwatches. We felt like these technologies could be used in someone’s everyday life. And it can enhance and optimize their daily experiences. And we did it all at price points that are pretty accessible. And I think to have a partner like Ray J who kind of sees the long-term vision and where we could make it global and go very big, I think we are very fortunate to have that opportunity. Raycon Global’s motto, mission, and methodology for execution is something that’s easily translatable to youngsters coming up. Ray J: You know we are gettin’ RayCon Babycon by RayCon. That’s new, I gotta talk to Ray Lee about it but Babycon. It’s coming soon. Ray J: Yeah, yeah, that’s my guy. Steve. Steve of My Little Star is one of my business partners. We’ve got two TV shows together. He’s got a show on right now on Azteca with me called Knock Out, which is the name of my record label. I know Steve, I know My Little Star. We’re doing some business with My Little Star now, just trying to build those diapers back up. Those are some great diapers. Great diapers and the mission, providing those diapers, millions of diapers, this man was giving away every year to those in need. Man, you’re just turning into a great person, Ray J.
Ray J: Thank you, man. And I want to be an example for everybody that’s been turned up, and that’s been living that fun life in your youth days and you still trying to find a way, maybe it didn’t work that way. Maybe your other opportunities went sour that way. Maybe you can look at the Ray J brand and Raycon Global and go, “You know what? Let me get some money this way. Matter of fact, let me go try to get some money with Raycon Global and try to build my brands through technology and through other young people that believe that you can speak however you speak. Just create something that makes sense and let people understand it and never give up until it succeeds the way you see it. Since you have such a life-long history of working with kids, and teaching and providing opportunities through your foundations, etc., will you, as you grow, will Raycon Global try to do something like Chrysler did, maybe a training program to bring people up through the ranks and maybe like, the Junior Business Association kind of thing? Do you see yourself doing anything like that or do you think you’ll not have time? Ray J: No, I’ll have a lot of time. I want to do right. I want to go on this journey and walk down the road and understand it and wiggle through and really, really pay my dues so I can kind of speak to people and give them an experience that I’ve had. And I think I’m just getting started, even though it’s three years in, I think it’s so much more to learn, especially with the new team, Cowboy Wholesale, I’m just learning so much more about the products, about how to pick the right product, how to customize and really how to take our time. Until I think that I’m getting somewhere, which I’m humbled by where we are now. But it’s just so much further to go; I just need to pay my dues. And once I pay my dues, then hopefully I can showcase how I did it and then probably it could be an excellent example of how to do it. Ray J: That’ll be big. That’ll be big. I can motivate people now by where I’ve been. But the journey is so much further. When you look at the top in technology, it’s like ladders and ladders that I’m looking at, through the sky. You’ve got Elon Musk changing the game through space. And so for us, I’m the little dog understanding, growing and hopefully in the future, with God’s work, and with the right team, we could be on that level. But right now we got a hell of a lot more work to do. Ray J: Easy. Easy. You gotta know that. You gotta know that you can go from being down today to being all the way up tomorrow with how you feel inside. You gotta feel it. You gotta feel it. You gotta become the Super You. It’s like you’ve got a superhuman inside of you. Once you tap into that, I mean THEN you start to control your destiny. And that takes time. It takes ups. It takes downs. It takes other people to inspire and then those people have to inspire from their own experiences to stay on point so they can keep walking’ the journey for people. I’m excited to have watched you as a kid, so to speak, grow into an amazing, amazing businessman, young father-to-be. I’m gonna be watching’ that one. And I’m gon’ be laughing’ because all the stuff that you go into as a kid and gave Mama Norwood headaches about, it’s getting ready to revisit you as a parent. I’m gon’ say welcome to my world. Ray J: Right. I can finally start watching cartoons again. I’m gon’ be at Disneyland at least five times a week. I’m ’bout to get the season pass. ‘Cause them turkey legs at Disneyland, oh my God. So you’re looking forward to the opportunity to unlax and get the family and expand your horizons just as a human being and as a man. Ray J: I’m working out right now. I’m gettin’ fit to deliver because I want to be in shape, so my legs work when my daughter or son comes out. I want to make sure my bones are active. I want to make sure I got enough wind to run. So I’m gettin’ ready. Will there be a gender reveal event? Do you plan on doing that or are you gonna keep it private? Ray J: Yeah, no, I do wanna do the gender. You know I’m learning about all the stuff, so yeah, if there’s a gender reveal party, yeah, I’m going to set up for that, and you are invited. And not only do we want to show you the way, let’s get the money together. We’re putting together a plan for street teams worldwide so they can get involved and figure out how we can all sell products together and make money together. You could still be going to school. We’re coming up with templates on how to get the youth involved so they can pay for college tuition early before they even graduate. Those are the things that we’re looking forward to getting involved with and, again, it’s a journey. It takes time. But the templates are being made.